Our student, Simon Bolz who is studying in the Bachelors Program in the field of International Relations is currently on his internship abroad in India. Simon is learning Bengali though he already speaks Hindi. Simon’s ambition is to work in the field of developmental policy – especially in making economic development mechanisms for the Global South more inclusive and participative. He is working in the German Consulate General office in Kolkata working under HE Dr. Michael Feiner (German Consul General Kolkata) and Mr. Jürgen Thomas (German Deputy Consul, Kolkata). The consulate was established during the British colonisation of India when Kolkata (then Calcutta) was the main commercial hub of India (more on the history). 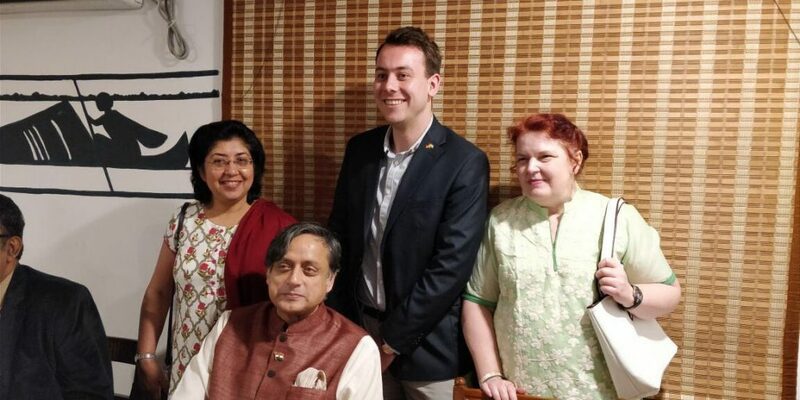 Simon was fortunate to meet Dr. Shashi Tharoor, an well-renowned Indian politician and diplomat and former Under-Secretary General of the United Nations. Mr. Dr. Tharoor gave a lecture about a vision for a new India in the 21st century in the Bengal Chamber of Commerce in Kolkata. The Bengal Chamber is India’s oldest Business Chamber, established as early as 1830! The event was organised by the Chamber and the Telegraph. Simon was invited as a representative of the Consulate. He had a short talk with Dr. Tharoor during lunch. 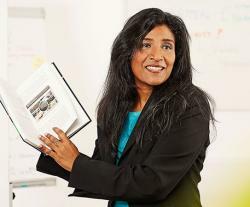 Simon told him about the many Indian students he knew who come for further studies to Germany, despite of the language barrier. One of Simon’s favourite quotes from the talk was “Whereas the US is described as a melting pot, I like to describe India as a Thali. The items stay separate from each other, but they interact and and form an amazing meal together!” For more information on the event see press article.